St Vincent has admitted she was ''very very shy and anxious'' as a teenager, as she offers advice to fans who feel the same. St Vincent was ''very very shy and anxious'' as a teenager. 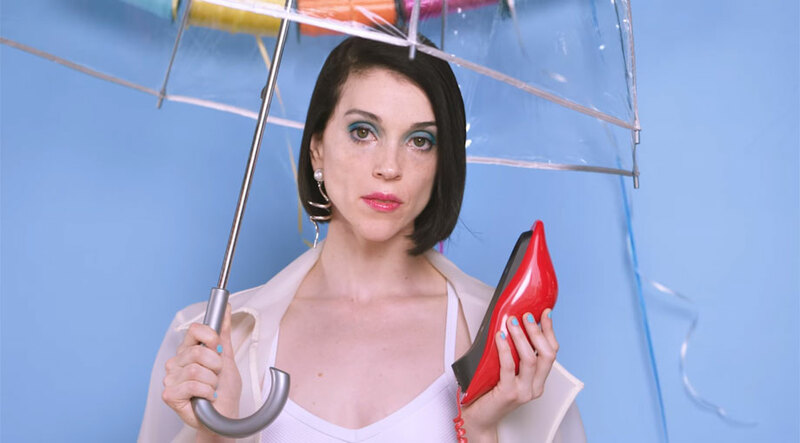 The 34-year-old singer - real name Annie Clark - has opened up about her own struggle with anxiety, and admits she often used to spend time working out where ''all the exits were'' when she was in a public space as she was ''uncomfortable'' being around other people. The 'Birth In Reverse' star - who previously dated model Cara Delevingne and actress Kristen Stewart - then urged her fans who might be going through the same issues to ''fake it until you make it'' and to ''pretend'' to have confidence if they find themselves unable to talk to people. Speaking during the 'Ask a Grown' segment of 'The Rookie Podcast', the 'Digital Witness' hitmaker said: ''So that's one thing and know that other people are feeling the same way as you, and two I think the faking it till you make it thing is very real.